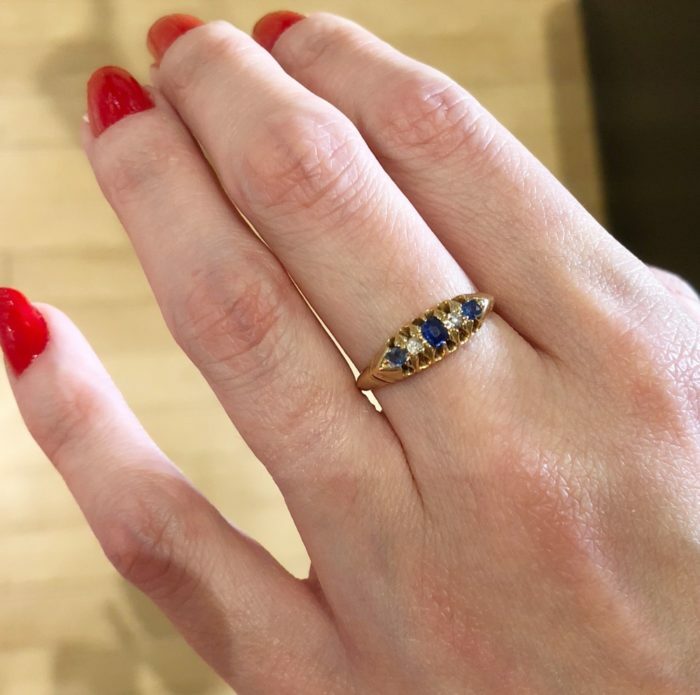 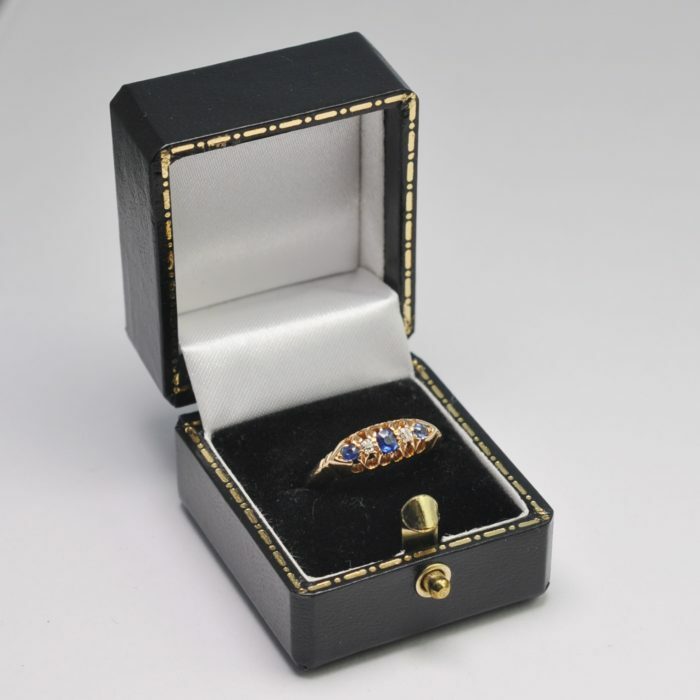 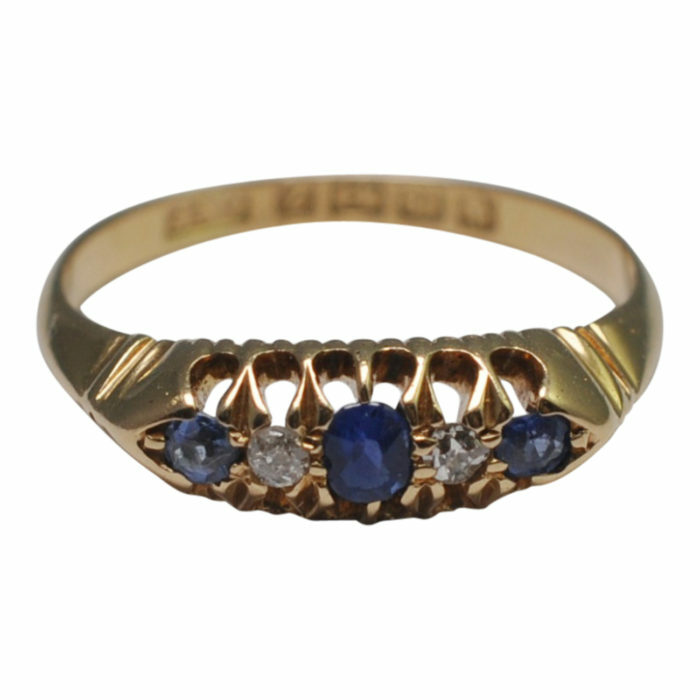 Victorian 5 stone sapphire and diamond ring; the classic Victorian ring with 3 sapphires and two Old European cut diamonds which would make a lovely antique engagement ring. 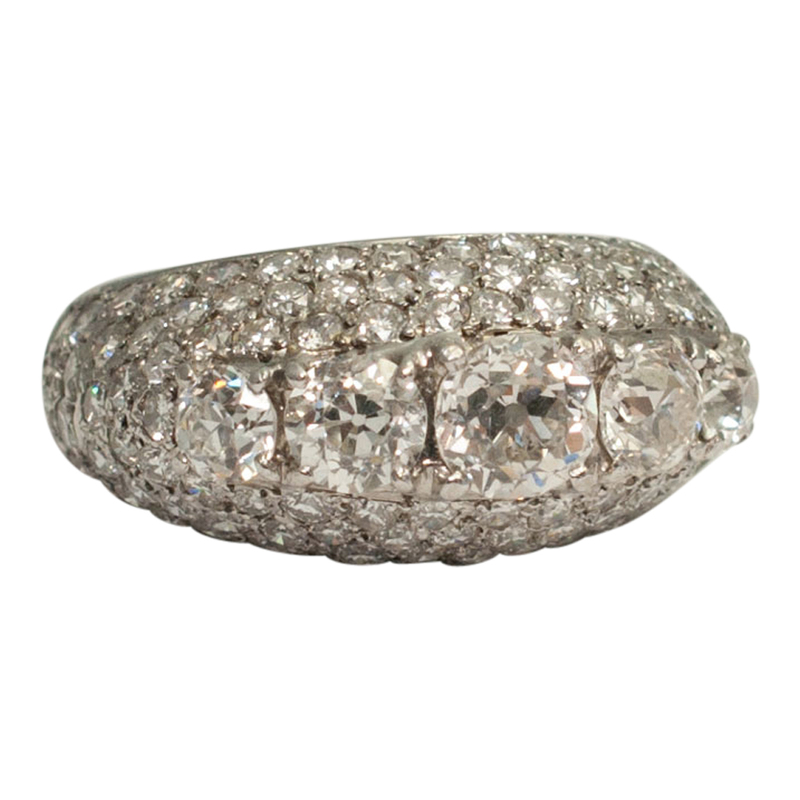 Weight 3gms; measurements 1.5cm width x 0.55cm depth x 0.40cm depth. 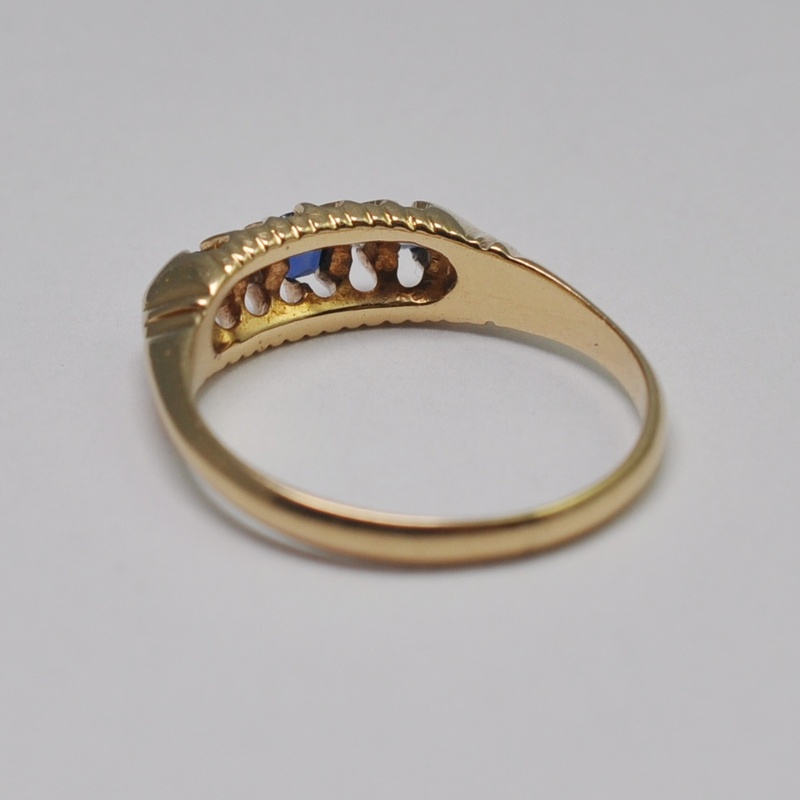 Hallmarked 18ct gold Birmingham 1899. 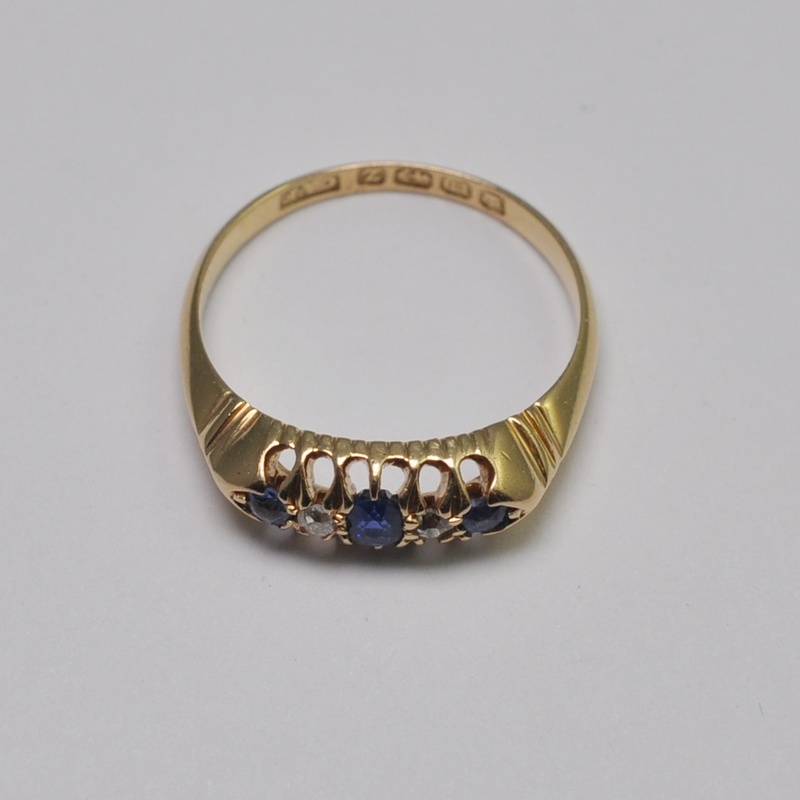 Finger size M1/2 (UK), 6.75 (US), 53.5 (French) which we can re-size for you if required. 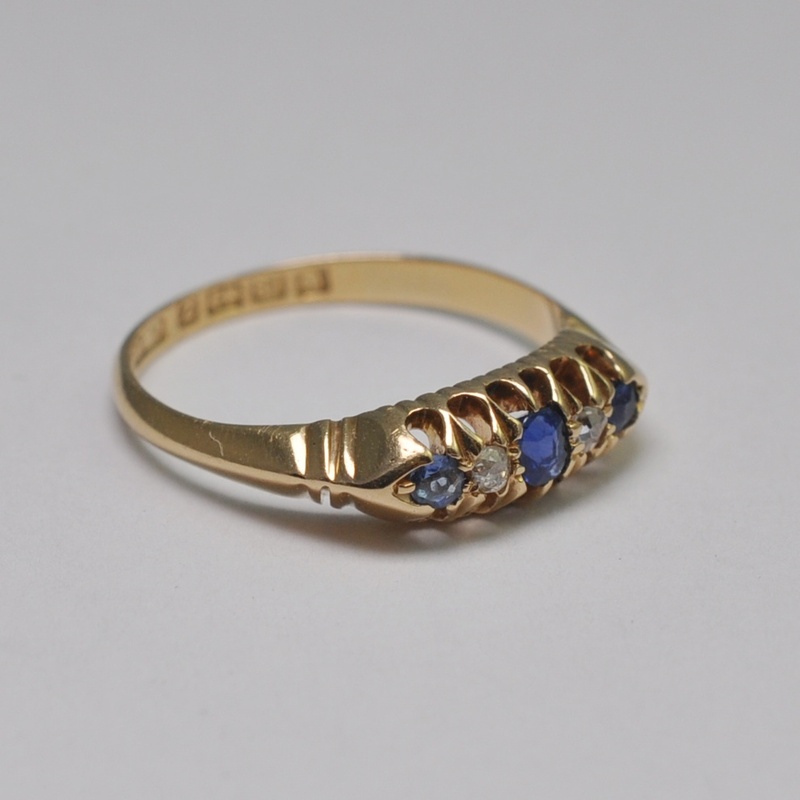 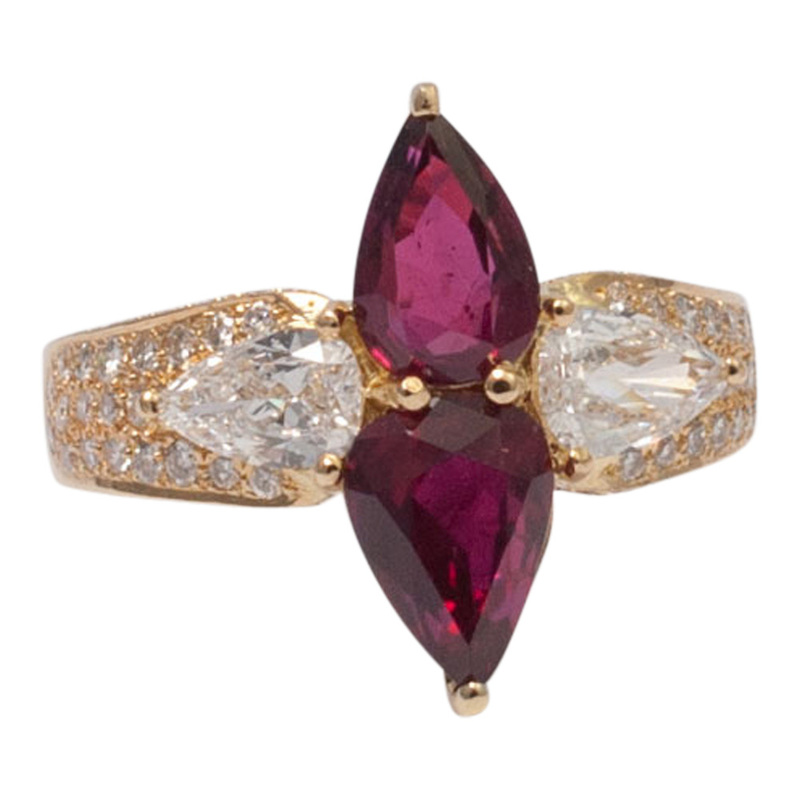 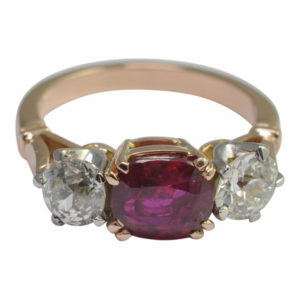 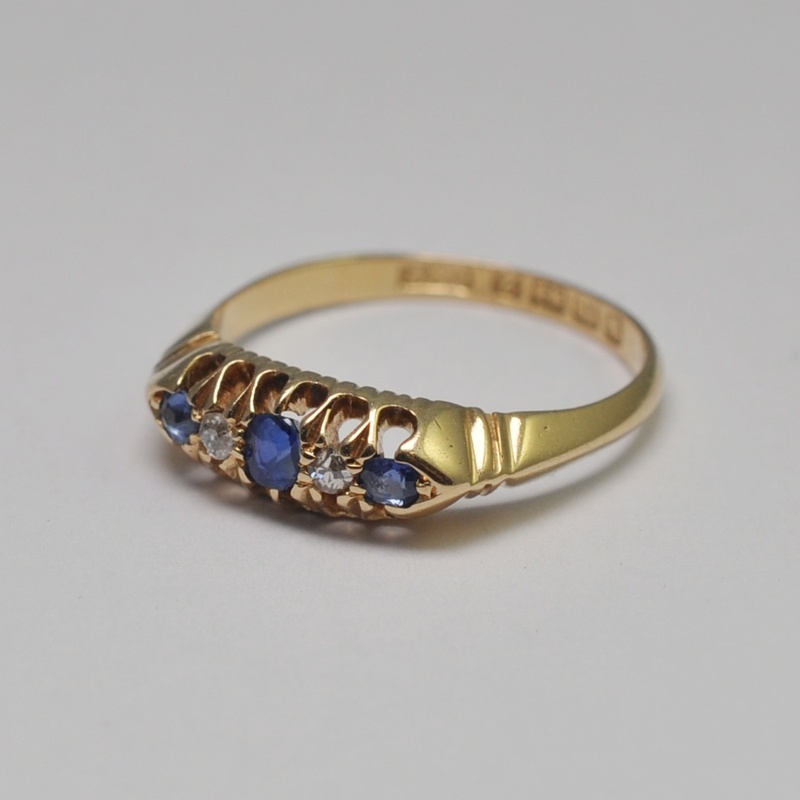 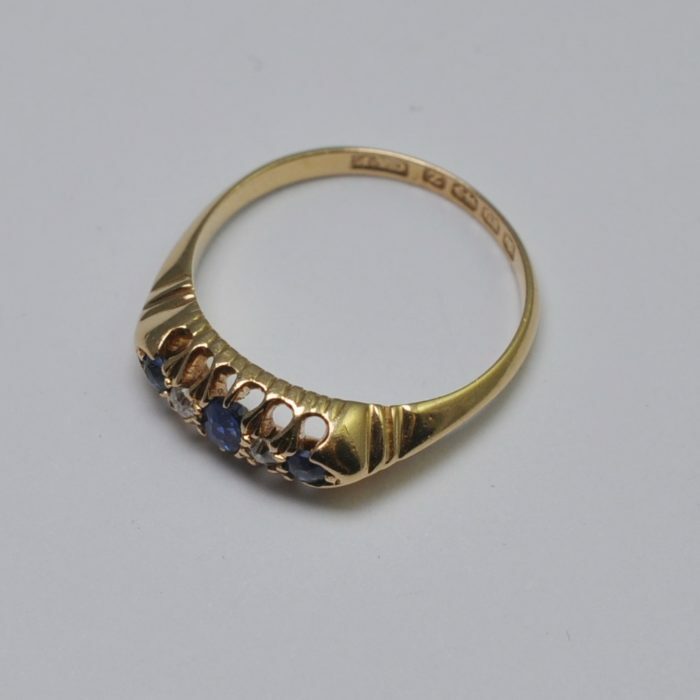 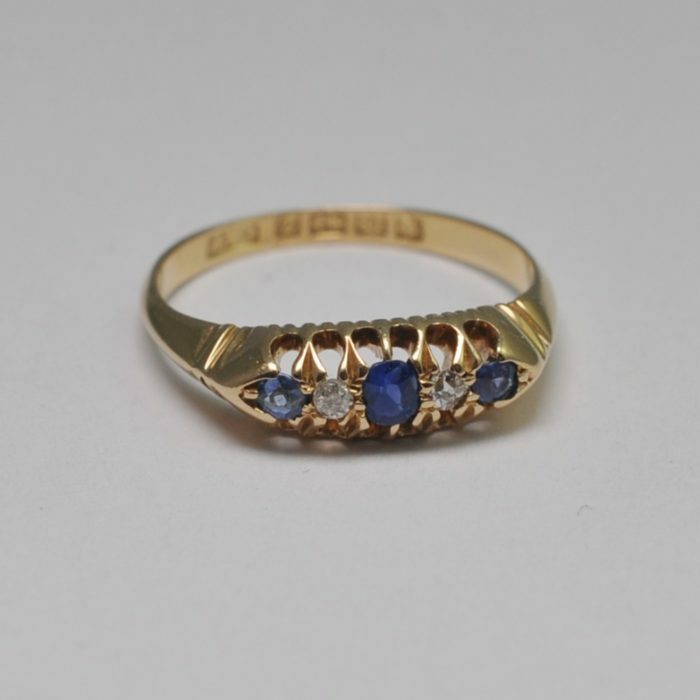 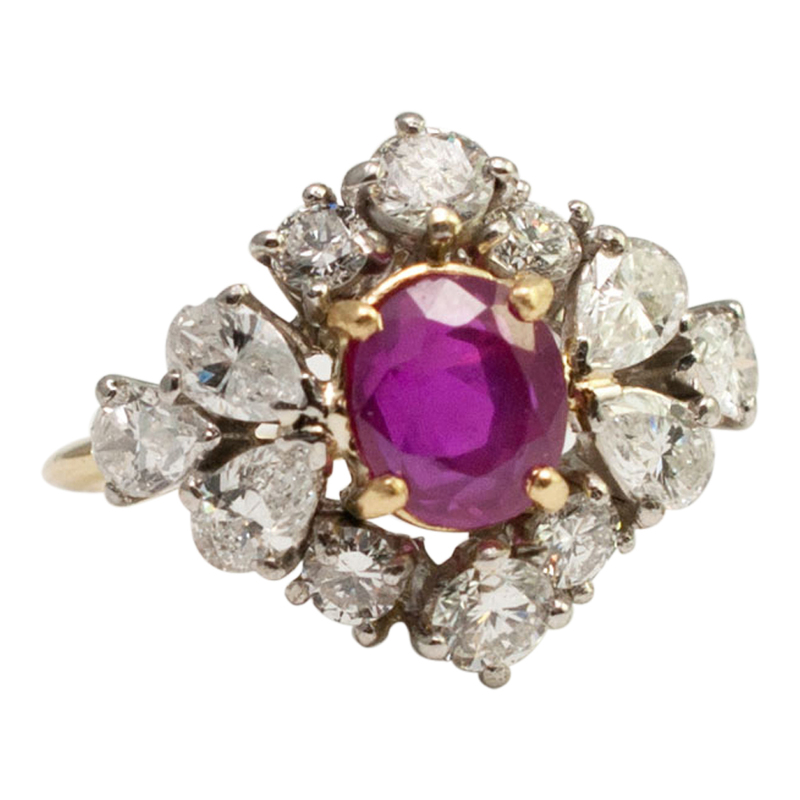 This pretty ring is in excellent vintage condition.